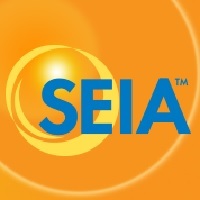 WASHINGTON, D.C. –- (RealEstateRama) — The Solar Energy Industries Association (SEIA), which represents the solar industry nationwide, welcomed the Nevada Legislature’s passage of two bills that would expand access to affordable solar energy to all Nevada residents. State lawmakers passed a measure (SB 392) that, if enacted, will establish a statewide community solar program. Yesterday, they also approved a bill (AB 206) that would raise the state’s renewable portfolio standard (RPS) and require power companies to produce at least 40 percent of their electricity with renewables by 2030. “Nevada has been a clean energy leader since it adopted one of the first state Renewable Portfolio Standards 20 years ago. Since then, solar has soared as prices have made the technology broadly affordable to Nevada’s businesses and families, and the jobs have followed. “Additionally, community solar programs make the many benefits of solar available to those who may not have had the option before. SB 392 would give everyone from renters to low-income families, to small businesses and others the ability to more easily access and afford solar energy. NV Energy, one of the state’s largest utilities, has exceeded the current renewable standard seven years in a row. In November 2016, Nevada’s residents overwhelmingly approved the state’s energy choice ballot measure, with 72 percent voting in favor.